Having the kids home for the summer can cause anxiety for some, being that most parents think you have to spend a boat load of cash to keep your kids entertained and happy. 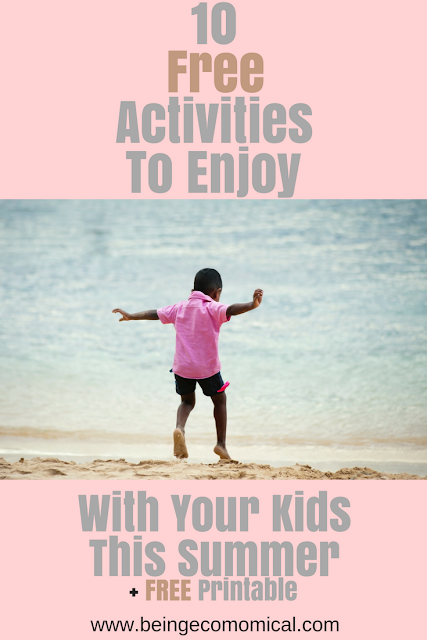 That's far from the truth and I wanted to share a few ideas that are absolutely free for your kids enjoyment! Some of them I didn't know existed until I went searching for them myself. I love when the weather heats up. My kids and I love adventures and exploring our city. For the past three years, we were located in New Orleans and had plenty of free options when we were on the prow for a free, good time! However, this list isn't about location. Every parent should know that these are fool-proof ways to entertain your kids, no matter where you're located. Kids are kids - give them a yard and they'll run. Take them to the park - and they'll run. The beach - they'll run. Take them somewhere with ample space and they'll wear themselves out, all while enjoying it at the same time. Another thing, running their little hearts out during the day keeps them from being up all night. So that's a plus! Especially during the summer months. The park: Like I stated above, if you give them the space to move, they'll move. The park never goes out of style. There's always new families to mix and mingle with and most states have several within reach, so you can switch things up - for free! Pack a few snacks and you're all set! The library: If you have the kids home all summer, JOIN A SUMMER READING PROGRAM! I can't stress that enough. It's totally free and there's no commitment. All you have to do is visit your local library's website and they should have a calendar available that shows all of the exciting activities they have lined up for kids of all ages. Besides story time, most libraries offer arts and crafts, Lego night, and free movie days with snacks included. Visit a nearby beach or lake: It's nice to be able to enjoy the outdoors in different environments and spending a day at the beach (or lake) is the perfect choice. Visit your city's free attractions: Most museums, zoos, and certain parks that originally charge, have free admission days to local residents during the week. Cook: Cooking brings my family together every night and it's something that even the smallest of kids to the oldest, will enjoy. It creates such an amazing bond with your children. Nature trails: Visit your local, state park and you can find all sorts of fun trails that you and your kids can enjoy - and otherwise wouldn't know it was there! Splash park: Free splash parks are popping up everywhere. 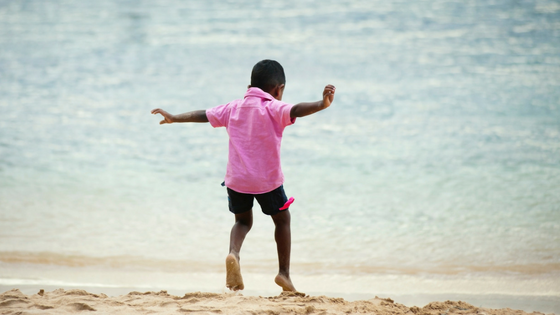 It's the perfect time to go out and let your kids run wild, as they splash through streams of water. Visit A Farmer's Market: I used to vend at Farmer's Markets, so I know all of the goodies they have to offer. Enjoy free samples from all of the vendors, live music, and face painting. Farmer's Markets remind me of fairs. They're so much excitement and so many new things to discover. Tour a factory: There are over 300 factories nation-wide that offer free tours. You can visit this website to check out local factories in your area. Visit a monument or historical site: There are lots of monuments all around us and most of them are free to visit. Take a glance back in time and discover the most beautiful stories to your city! 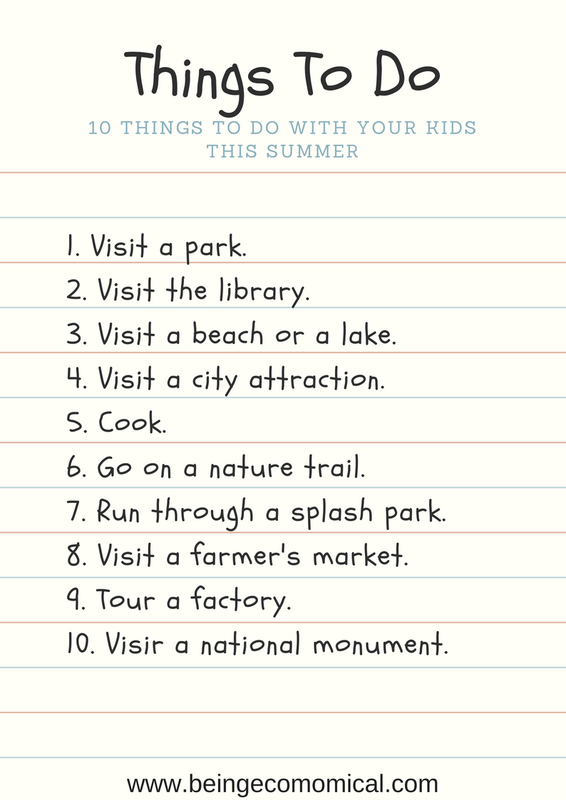 There are so many things to do during the summer that don't have to blow your budget in order for your family to enjoy themselves. 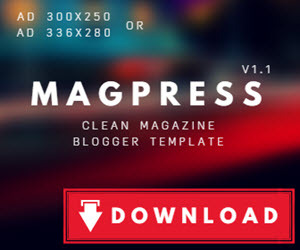 Download this free list I made especially for you. Hang it on your refrigerator for the days you run out of ideas. Enjoy!